Just as I was about to start eating, Kyousuke looked very nervous. He was out of sight before I could finish the sentence. What is going on? First, he asked me to go out with only him to some faraway place, then offered to pay for my expenses, and now this. Actually, I know the answer to that: he wants to confess his love to Haruna and is thinking on how I would react. Wanting to know what Haruna knows about Kyousuke that I don't, I used the "compose mail" feature on the phone. Haruna seems to know what I'm thinking and she immediately typed the response with my fingers. Haruna: Well, I knew him since I was young. I don't remember how or when exactly I met him, but I already knew him very well long before entering middle school. He (and my other friends) always visits me and my family during term breaks, days before major exams to study, and of course, my birthday. It's February 18 if you didn't know. Oh, the food is getting cold by the way. 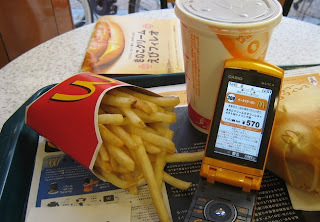 I started eating the fries and continued typing with the other hand as I looked out of the window. It seemed to have stopped raining and the street outside seemed to be even more crowded. 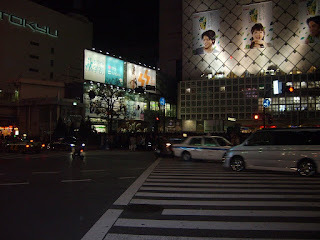 I didn't see anyone from my school since we arrived at Harajuku Station. Haruna: Oh yes, he visited me in hospital and was crying as though I was going to die. Well, I was unable to move my body back then. I overheard him talking to your father (he was there in place of my parents) that he was planning to confess to win my heart over you during either Valentine's Day (February 14) or my birthday as those days are less than a week apart. After your incident last month, he felt that there might be a chance should I recover as you were out of the way. Anyway, if he (Kyousuke) does confess, just accept it. I was about done with the fries and moving on to the hamburger when Kyousuke came back with a package that I saw him buying earlier. He looked even more nervous than he was earlier. Kyousuke: "I had been wanting to give you a present since your birthday, but since that incident, I had always visited you at the hospital by your side almost every day and my feelings towards you have been stronger with each passing day." Her happy expression was reflected on my face and hands, though Kyousuke continued on. You know, Kyousuke may be hugging who he thinks is Haruna but I can fell the warmth of his body pressing against me. For me, this is a weird experience considering that I was a guy, experiencing it from the opposite gender's point of view. The feeling of being hugged was also strange, not only is he doing the hugging and whatwernot, his body seems to be larger and taller than mine and those two round things on my chest is like preventing me from getting closer, though they are touching him. That action made me blush for some reason, even more the longer and tighter he hugged me. From the moment he offered me (Haruna actually) the present, people around us cheered us on for quite a long time. 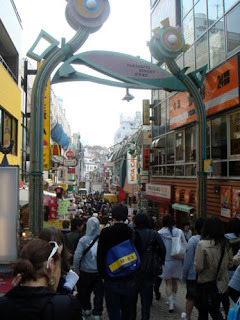 We then continued on exploring and shopping on in the massively large area filled with many tall buildings and a sea of people. The fact that I was dead tired after all that walking didn't come across my mind until I sat down. Yes, I was that happy and had never felt that much before. It started to get quite late into the night and the time the last trains back to our towns is closely approaching. I insisted that we should start heading home before he would start thinking about us staying at some hotel and doing some stuff with our bodies that could get complicated if things were to go wrong. I know, because I would do the same with a cute girl who likes me and is tired/drunk, except that I'm that cute girl now. I got off at my station and waved, smiling, at Kyousuke as the train departs. I went to my bike parked nearby and put all the stuff on the basket at the front. There were so many that it was almost filled to the brim and poured the rest onto a box I found lying around and tied it to the back. It looks like I'm going to have trouble cycling with all this stuff in the dark. Why am I even carrying this much stuff? Thankfully, the following day is a Sunday and my parents have yet to come back from overseas. Let's see.... Was it this way or that way? It's too dark to tell.